enjoy those precious moments to the fullest. to college, to do his own life. Enjoy your kids, they grow up fast! we’ll take care of the housework! After a hard day’s work the only thing you want to do is get home and enjoy your family. You want to take your shoes off and just play... play, remember? At The Housekeeper, Inc. we make it our job to give you the most free time we can so you can devote it to your loved ones. After setting an appointment, Coralia will meet you at the home you want cleaned. During that time, while you walk through your home, you can show her what you would like done and how often. When you are done, Coralia should give you an estimate and a schedule that will best suit your needs. It is not uncommon that the first time we visit you, we do a deep cleaning: a thorough cleaning that will take more than usual since it involves cleaning all baseboards, the inside of the refrigerator among other tasks. Some of our regular customers usually request a deep cleaning twice a year, others only once. Maintenance cleaning is what you expect from us every time we visit your home. The length of the stay in hours depends on the frecuency of the visits. Most of out clients schedule weekly visits, others bi-weekly. At the Client’s request, we work Saturdays or Sundays, and we also work before 7 or after 5pm. The Housekeeper strives to provide personalized service to each of its clients. 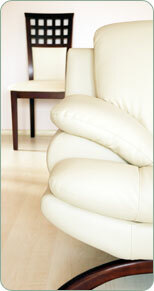 Quoting a cleaning job without seeing the exact condition of a home is difficult at best. Our rates for Salt Lake City start at $90 per visit. Rental property cleaning: Starts at around $200.00 for a one bedroom apt. Chose the payment option that better suits you: you can pay after each visit or monthly. We send out invoices during the first week of every month and expect to receive payments within 10 days of receipt. Reschedule or cancel an appointment if you have to, just make sure that we get a 24 hrs. notice. Simply call Coralia at 801.898.7215. In addition to our trusted services for house cleaning, The Housekeeper offers a variety of additional beneficial services tailored to your individual needs. As an average, these special requests are charged at $20 per hour per person, and added to the regular fee. For add-ons or special requests, please call Coralia at 801.898.7215 or send us email at specialrequest@theHousekeeper.biz. Please make sure to give us at least 24 hours notice. You can choose what supplies are used in your home. There’s the issue of contaminated equipment. Nobody wants her/his home cleaned with rags, mops, brooms and vacuum cleaners that have been previously used at another home! However, if you prefer it - for an additional fee - we will provide all supplies and equipment. For an appointment or more information, don’t hesitate to call Coralia at 801.898.7215. You can email us at housecleaning@theHousekeeper.biz, or you can click here to jump to our contact form. At The Housekeeper, Inc. we strive to provide the best customized service, unique to you, our Client.